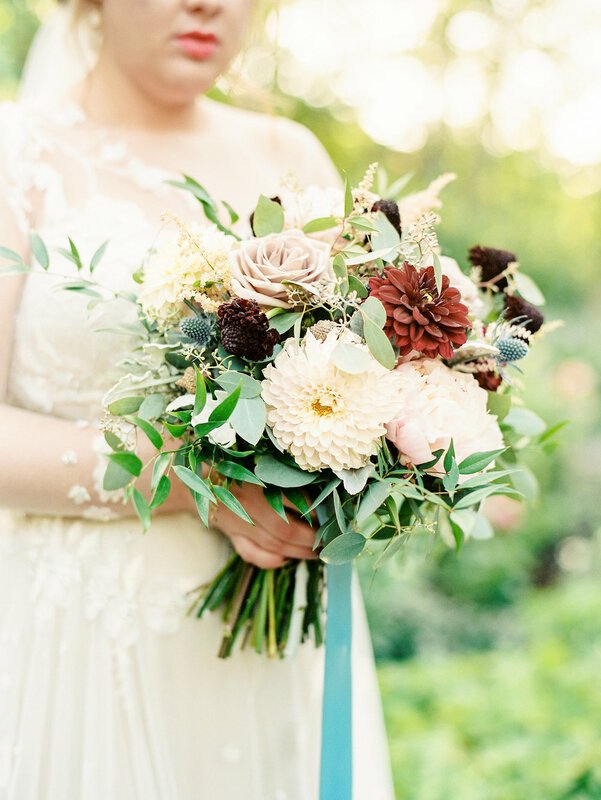 We are delighted to share a few of Rachael's beautiful bridal portraits from Nancy Ray Photography today! One of the best parts of our job is the constant inspiration we find in our brides, who in their busy lives, still exude so much femininity and grace. Rachael, a Raleigh native, is owner of The Local Squirrel, a must-visit boutique in Cameron Village filled with chic and whimsical gifts.  We love a bride who is her own #girlboss! The stunning portraits by Nancy Ray Photography were taken around the property of the bride's family home in Banner Elk, NC. 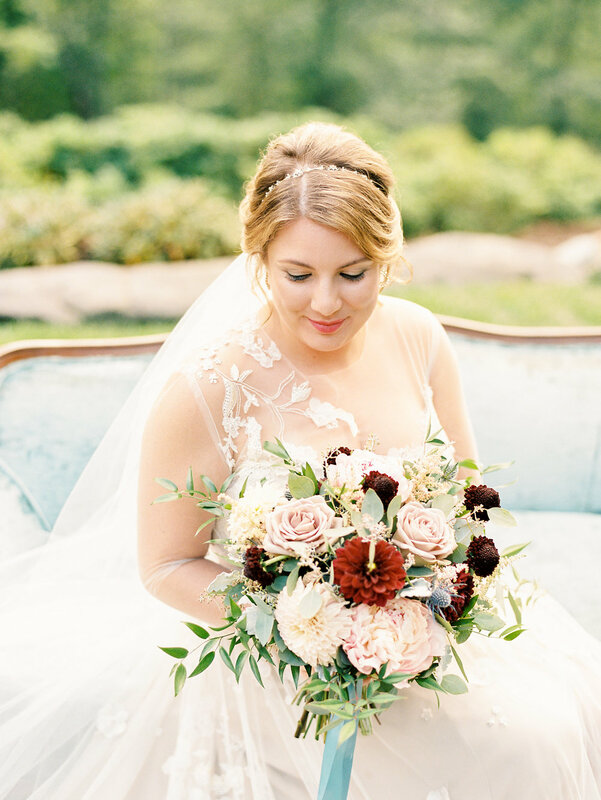 From her dreamy tulle and appliqué Monique Lhuillier gown, to her fall bouquet inspired by the wild North Carolina mountains, this session glowed with Rachael's beautiful spirit.